Kerala Blasters have been underwhelming for a while. Six draws, a few close defeats and some debatable refereeing decisions may have earned the Kochi side some sympathisers, but a diabolical display in a 6-1 humbling at the hands of Mumbai City FC laid open the cracks in the Blasters’ armour. 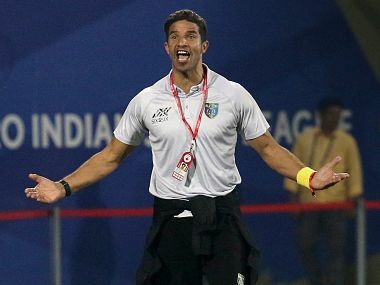 Coach David James has defended his troops through the season despite failing to win a single match since the opening day, suggesting his team didn’t deserve to be on a 11-game winless streak ahead of the game against Mumbai. On Sunday, even after a rather humiliating loss, James deflected away from the problems by speaking glowingly of his players’ performance after being reduced to ten men. "Second half, with 10 men, we played like it was 12. It was a tremendously spirited performance by our team. I think their performance deserved more. They were time wasting when they were two goals up. They felt some kind of pressure from us. But their performance in the second-half was amazing," James said after the game, sounding more like a broken record. 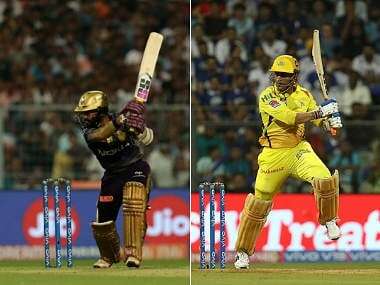 To be fair to the Englishman, the Blasters weren’t played off the field by Mumbai. But that’s where the problem starts for the Blasters, who shipped in six goals when their opponents weren’t even at their best. The visitors took the game to the hosts and looked comfortable on the ball in the opponent’s half but as soon as they lost the ball, the Kerala players reacted too slowly or in some cases didn’t react at all. The first goal was a result of a quickly taken free-kick that caught Blasters cold. Sandesh Jhingan was caught out of position as Paulo Machado had the freedom of the Mumbai Football Arena to pick out Modou Sougou’s run into the six-yard area. It was too easy for Mumbai to open up the Blasters defence that was completely disorganised and lacking in shape. The second goal was caused by a misplaced pass from goalkeeper Dheeraj who gave it straight to Arnold Issoko just outside the penalty area. Issoko fed Sougou, who curled it into the top corner to compound the visitors’ misery. 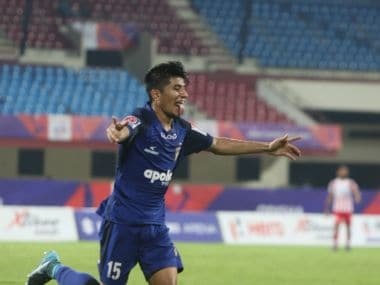 For the second goal, Dheeraj committed the obvious mistake, but the lack of pressure on the Mumbai City attackers, who were allowed all the time in the world to carve out the opening, was alarming. Blasters pulled one back through Seiminlen Doungel, but it was hardly a tonic for Blasters’ defensive woes. Mumabi targeted the Blasters’ flanks and stretched the visitors every time they counter-attacked. Mumbai’s third goal was the hardest to take for the Blasters. The Kerala backline, for once, was better organised than previous instances, but didn’t show enough desire or awareness to prevent the chance being created. Subhashish Bose made an overlapping run into the wide area, but the Kerala forward, who was in the right position to stop the run, didn’t show the alertness to block the run. Once the Indian full-back got into position, he delivered a fine delivery into the danger area. There was still work to be done for Mumbai City, but Sougou’s task was made easier by the ball-watching Kerala centre-backs who allowed the Portuguese to float into the gap between them and send a simple header past a hapless Dheeraj. As James pointed out, Blasters started the second half well, but their endeavours were met by Mumbai City’s tenacity in defence. At the other end, though, there was no sign of improvement from the Blasters who had Dheeraj to thank for preventing Mumbai from bagging an early fourth. Sloppy play from Anas Edathodika and Jhingan allowed Mumbai to launch another assault from the wide areas that nearly resulted in a goal but for Dheeraj’s save on the line. However, there wasn’t much he could do for the other three goals that Blasters conceded in the remainder of the second half. Rafael Bastos found the bottom corner with a thunderous effort from range, before substitute Matias Mirabaje found the opposite top corner with another long-range effort. The inability of the Blasters’ defence to sense the danger was alarming as there was no body close to the Mumbai players allowing them almost a free shot at goal. Going a man down didn’t help the visitors, but their lack of effort was palpable. The final goal was a comedy of errors as the Blasters defender’s mistimed tackle pushed the ball in Sougou’s path who slotted in the empty net which Dheeraj vacated in an attempt to close down the Portuguese footballer’s angle. It summed up Kerala Blasters’ night and perhaps the season. Blasters haven’t faced a problem carrying the ball. They average 50.83% possession this season, but when it comes to being decisive at either ends of the pitch, Blasters have little to show for. David James’ side are the league’s second-lowest scorers with 12 goals in as many games, but the Blasters have conjured up the most number of shots (185) this season. The tally is higher than Mumbai’s by 47 shots but Jorge Costa’s team have scored eight more goals. On Sunday, Mumbai City were highly clinical as they scored of all six shots they sent on target. Blasters converted one of the five shots they fired at the Mumbai City goal. The 6-1 humbling on Sunday showed that Blasters’ problems went far beyond poor refereeing decisions or a lack of good fortune. The Kochi side have been ineffective despite enjoying more possession than their opponents in majority of their games. James had pointed out in the pre-match press conference that apart from a 3-1 loss to FC Goa, his team had never been taken apart by any of their opponent. On Sunday, the Englishmen simply ran out of hiding space. Kerala Blasters appeared to be a team that needed lot of repairing to do. The upcoming transfer window and a month-long break may reignite hopes, but it seems too insufficient to revive their chances.